Bitrock InstallBuilder is a powerful but easy to use tool for building crossplatform installers with a native look and feel on all supported platforms. Unlike Java-based installers, it does not require a Java(tm) runtime, so generated installers are significantly smaller than those created with Java-based tools. InstallBuilder also offers two types of compression (zip and lzma) to further reduce the size of generated installers. In addition, InstallBuilder installers do not require a self-extraction step, so installers are faster and require less memory than those created with other tools. ALMtoolbox company is an authorised partner of BitRock InstallBuilder. We have experts in installers (including InstallBuilder, InstallShield and Inno Setup); source control; issue tracking and continuous integration methodologies and tools. 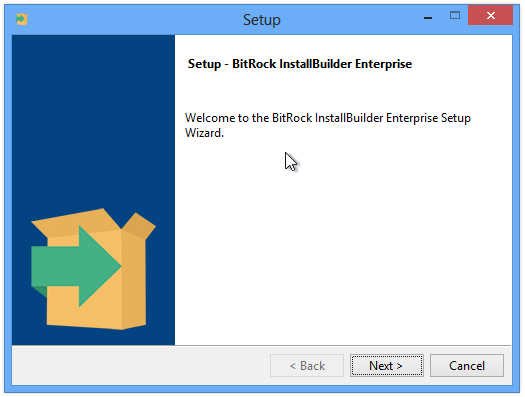 Bitrock InstallBuilder is a powerful but easy to use tool for building crossplatform installers with a native look and feel on all supported platforms. Unlike Java-based installers, it does not require a Java(tm) runtime, so generated installers are significantly smaller than those created with Java-based tools. InstallBuilder also offers two types of compression (zip and lzma) to further reduce the size of generated installers. In addition, InstallBuilder installers do not require a self-extraction step, so installers are faster and require less memory than those created with other tools. A more detailed technical comparison is provided in the chart below. From a customer support perspective, the feedback received from former customers of competitors is that InstallBuilder is easier to learn and use and InstallBuilder's support is faster and more responsive to customer issues. BitRock provides fast, friendly technical support and we believe it sets us apart from the competition. InstallBuiler is used by companies and governments all over the world in a diverse group of industries and applications. The BitRock installer has cut our build/test capital needs by 75%. The overhead in build/packaging for a dozen platforms is trivial. I now type in a command and I get installers that work on all the platforms I need to support. BitRock's installer was a lifesaver, dramatically cutting down our build/release times." Alfresco is the recognized leader in Open Source Enterprise Content Management. Our focus on Simple Open Source - SOS - enables customers to achieve the full potential cost savings by making it simple to install, simple to use and simple to scale out an entire stack comprised of multiple open source software components. BitRock is a key partner for us in this initiative reducing installation-related time, support and cost for the whole ECM stack." Paul Holmes-Higgin, VP of Engineering, Alfresco Software Inc.
InstallBuilder's comprehensive cross-platform support has proven invaluable to us, giving our customers a consistent installation experience no matter what operating system they run on as well as reducing our development costs by avoiding the need to support multiple technologies. BitRock's excellent technical support team are the icing on the cake, helping us out quickly and efficiently whenever we need a hand." As the world's most popular open source database, MySQL has a diverse customer base that requires support for a wide range of operating systems and architectures. BitRock's expertise in packaging software to make it easy to install in virtually any environment made it the perfect fit for MySQL's requirements. Working with BitRock allows us to provide our users with a fast, easy installation process while at the same time reducing our support costs." 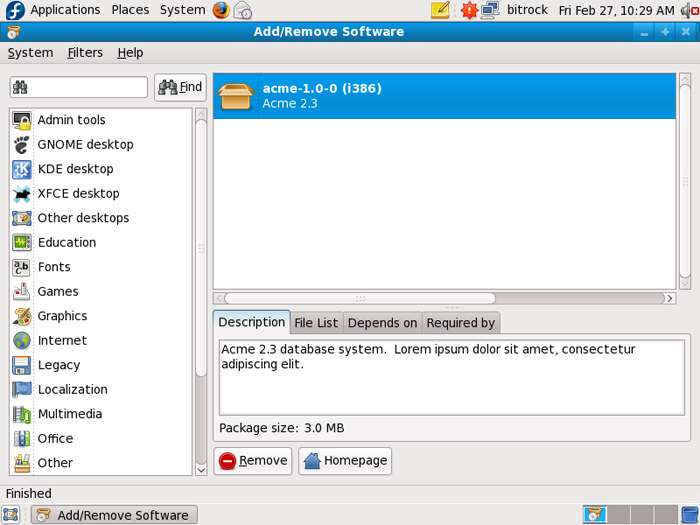 We were looking for easy to use installation software to support our products on Linux. We tried a couple well known commercial alternatives, but BitRock was easier and more cost effective than it's competitors and it was a heck of a lot easier than creating an RPM distribution from scratch." InstallBuilder has helped us to provide Openbravo in an easy to install package, virtually eliminating implementation barriers. The automated installation process reduces installation-related support requests and costs." We use Installbuilder to package our applications, improve and simplify the deployment of our tools, targeting an important range of platforms from Linux to Windows and MacOSX. Bitrock team has proven very helpful and the quality of their support has been a key element in our choice."